What do your clients really think about you? Their perception matters! This series began with a discussion about effective use of the telephone… then we moved onto blogging… and last week, LinkedIn. Today, we tackle understanding the perception of your firm. If I were to ask you what each of your clients think about you, you would probably say something about them generally liking you… after all, they’re sending you their business. And you’d probably be right. But what if you’re not? Understanding the perception of your firm by your clients (and others in the marketplace) can be critical information in establishing your marketing & sales strategies. Overall, what do we do well? And what do we do that needs improvement? Why did you hire us the very first time (as opposed to hiring one of our competitors)? Aside from our ‘good work,’ why do you continue to do business with us? What – if anything – makes us unique, compared to other similar firms? Do you currently use any other suppliers similar to us? If so, under what circumstances? If we could do just one thing that would enhance your experience with our firm, what would that be? When you see or hear our firm’s name… what do you think about and feel? You get the point… these aren’t the typical post-project/customer-sat type questions, but more of the what-do-you-think-of-us type. 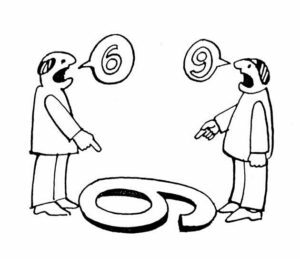 Remember, you’re trying to understand the perception of your firm out there in the real world. In addition to your clients, another segment worth getting feedback from is your former clients – those that used to do business with you but haven’t in some time. In addition to the kinds of questions listed above, you’ll also want to know the answer to questions like, “Why did you stop doing business with us?” and “Who are you using now (and why)?” Note: because you really have no axe to grind with these former clients, they are usually very willing to provide this important information. The old adage, “The buyer’s perception is the seller’s reality” is as true today as it ever was… and maybe more important. So, make sure you truly understand the marketplace’s perception of your firm – not what you think the perception is – and use that information to help guide your firm into 2017.